1 plane wrecks | This Blog Rules | Why go elsewhere? 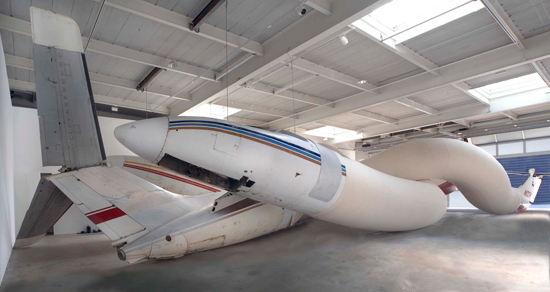 At the opening of a gallery show called “Rio” in NYC, there was a massive sculpture that drew the most attention, showing a twisted and intertwined plane wreckage that almost looked like gigantic wrestling earthworms. The plane wreck seemed to remind people of the crash landing of a passenger plane in the Hudson River.